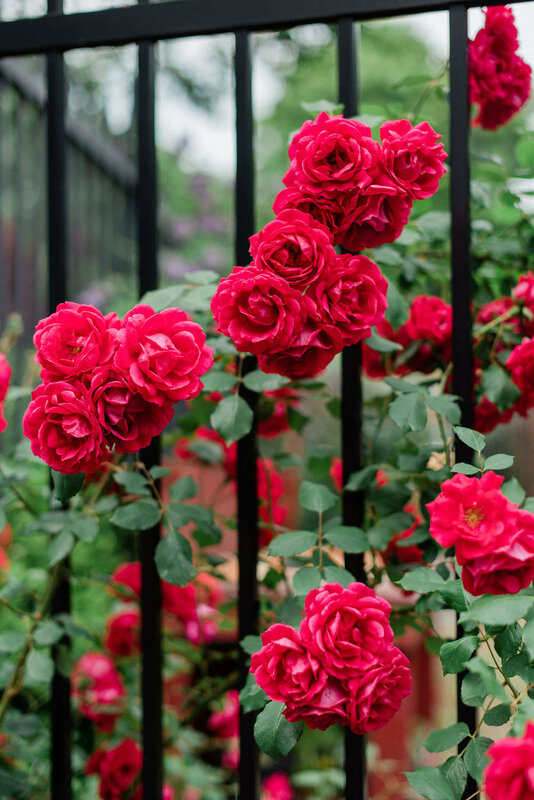 We are thrilled you are interested in the McGill Rose Garden! For booking weddings we follow a two step process. The first step is to schedule a tour for the garden. This will help you get a better idea of our space and if it will fit your needs. From there if you are ready to book the garden, the second step is to request a contract. This will give us some more details about your special day and allow us to move forward with creating a contract and solidifying your date. The forms below will help you through these two steps! Once you have toured our garden, this form is your official request to rent. This indicates to us that you are ready for a contract and the next step in solidifying your date. Within a few days, a contract will be sent over and there will be a soft hold on your requested date. The McGill Rose Garden is available for events from late April to early November. Includes an assortment of lights such as Café lights, Twinkle lights, lanterns, Up-lighting, and chandelier; Placement of lighting is based upon selected areas of use.